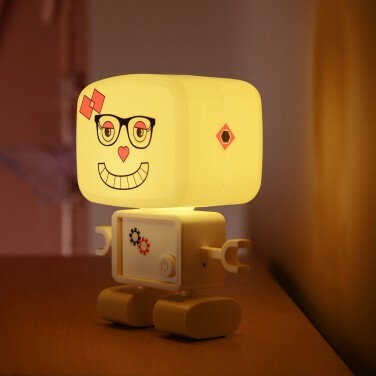 Little kids will love this adorable robot night light that not only casts a comforting glow, but it can be customised with stickers too! 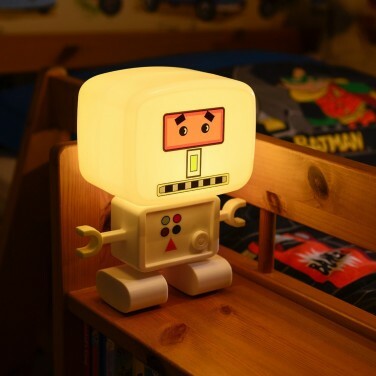 A sweet robot night light that kids can customise with reusable stickers included, Roboglow cast a warm white glow into your child's room for comfort and reassurance at night. 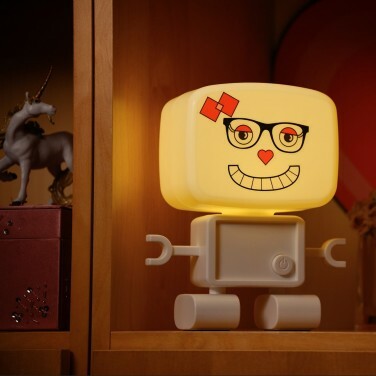 Choose from always on or sound reactive modes and this adorable lamp will illuminate for 120 seconds whenever it detects sound making it ideal for light sleepers who may need reassurance at night. 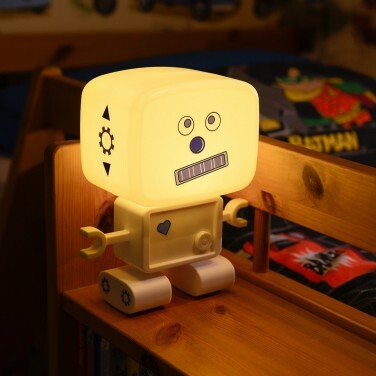 Rechargeable via micro USB included, this robot night light can be placed anywhere in your child's room to make the dark a little less scary. 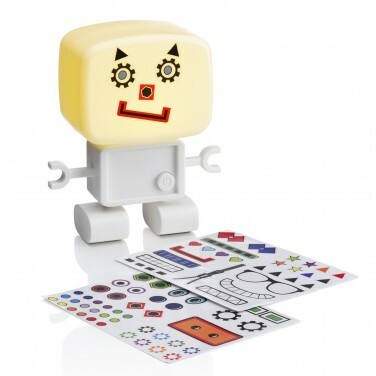 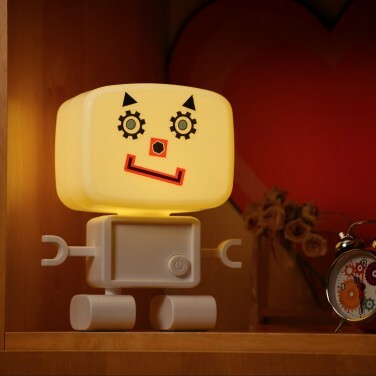 Illuminate your child's room with a warm reassuring glow from this adorable porcelain robot lamp.